Khalid Nassour is a second-generation Egyptian-American, and his life is pretty good. He's got a smart, lovely girlfriend, two caring parents, and in just a couple days, he's starting medical school. But then the flood starts. A non-stop, torrential downpour begins to cover the earth, inciting mass flooding. But when Khalid is given a mysterious golden helmet, he begins to see the secret truths behind the world. The flood is not natural, but an attempt to wipe the slate clean by ancient Egyptian god Anubis, and only Khalid can stop him. But Khalid is thoroughly Americanized, with no real connection to his Egyptian ancestry. Can he discover his heritage in time to stop a mad god from remaking the world? 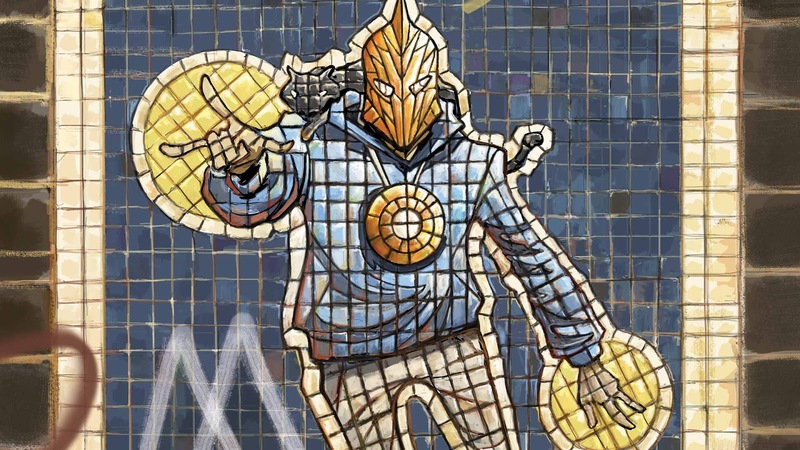 There's a lot of charm to Doctor Fate: The Blood Price, the collection of the first 7 issues of Paul Levitz and Sonny Liew's run with the character. Its cast is slim but growing, Sonny Liew and Lee Loughridge make an enormously compelling artistic team, and Paul Levitz has some really cool ideas for the book and Doctor Fate's ties to Egyptian mythology. But... okay, I kind of think we need to put a moratorium on Joseph Campbell and the monomyth. On all of it, sure, but specifically here on the 'Refusing the Call' section, which is what basically the entirety of this seven-issue story is. Damn near every issue features the same basic internal conflict over and over again: Khalid is shown something by the helmet, he doesn't believe or understand what he's shown, he fails to stop the flood. Because of this, the book reads less as a superheroic origin story or adventure more as a conflict between Bast and Anubis, with Khalid as a puppet being jerked between them. And... well, that's really hard to make interesting. Rather than having Khalid feel like an everyman - what the book is going for - it makes him seem weak-willed and wishy-washy. Think about the great comic book characters. What do they have in common? They're proactive. They want to make a difference. The core conflict is the cost, both social and internal, of that decision. Kamala Khan wants to fight and be an Avenger and help people, but this comes into conflict with her faith and family responsibilities. Bruce Wayne wants to end crime, but butts up against the vastness of criminality and the depth of its origins. Peter Parker, the closest analog to what Levitz is trying to do with Khalid Nassour here, wants to live a normal life... but knows that he can't, and the conflict there is between the way he whole-heartedly throws himself into his responsibilities while secretly wishing he didn't have to. But despite that conflict, Stan Lee and Jack Kirby understood that we wanted to see Spidey in action. His internal conflict represents a yearning, but he throws himself. That's how long he refused the call. Khalid does it for roughly 130 pages. It makes him seem dull and wishy-washy, makes the book feel interminably repetitive when we get the same, "This must be a dream/nightmare/drugs," speech from him every single issue. The supporting cast is the same way. Khalid's girlfriend Shaya keeps putting him off to go do other things, Akila keeps flirting with Khalid and then harumphing when he ignores her, Anubis keeps talking about the Maat and the blood price, but most of these characters don't really do anything until the final issue. They're static. 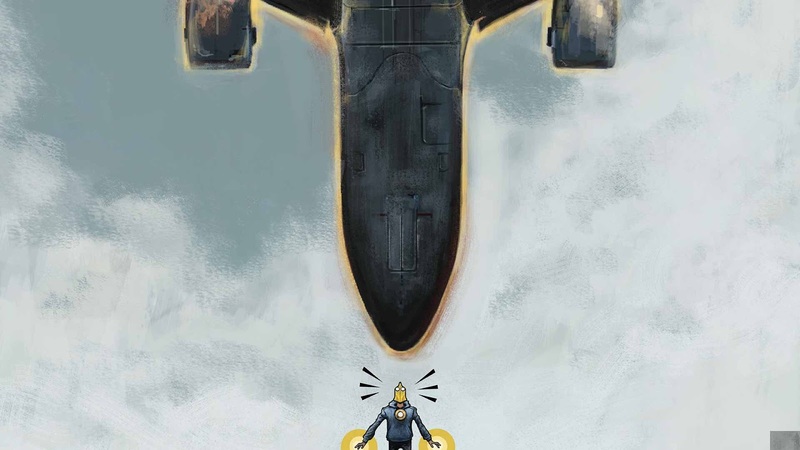 Still, as I said, Doctor Fate: The Blood Price is still worth a look for many readers. Levitz has the core of a lot of good ideas here even if the execution is lacking, and, as I said above, artist and colorist Sonny Liew and Lee Loughridge make a phenomenal team. Liew has a tendency to highlight the frailty of people, which helps make Khalid's danger seem genuine and his inexperience feel urgent. A midbook scene where he tries to stop three looters and has to run away from a couple gun shots highlights his youth and frailty well. Indeed, the character design in the book is routinely fantastic, and the book's greatest selling-point. I'm a little less sold on his portrayal of the more large-scale action, which often features an explosion of color and then... a result. It's brief and difficult to follow, and I tend to strongly prefer clarity of space and movement in my action. That said... as with the rest of the book, the action is gorgeous. Loughridge handles the explosion of these otherworldly yellows and oranges wonderfully, contrasting them well with the more muted colors that dominate the background 'real' world. If you're the kind of reader who prizes clarity above all else, the action here may frustrate you, but readers who prefer aesthetics will find a ton to love. Doctor Fate is one of the rash of modern magic-superhero books out now from Marvel and DC, alongside things like Constantine: The Hellblazer, Dr. Strange, Scarlet Witch, and more. And it shares many of the strengths and weaknesses of those books. Magic, it seems, is still tough to figure out. But while I have my issues with Doctor Fate: The Blood Price overall, it is nevertheless the kind of book I want to get lost in. There's a lot of room for improvement here, and I can't fault anyone who doesn't want to sit through quite this much meandering, but I do believe there's some promise here. In the collection's final issue, Khalid finally makes some genuine, lasting decisions and the story lurches forward rather suddenly. Here's to hoping the momentum continues going forward. Doctor Fate: The Blood Price is the first volume of DC Comics' ongoing Doctor Fate series, collecting Doctor Fate #1 - 7. 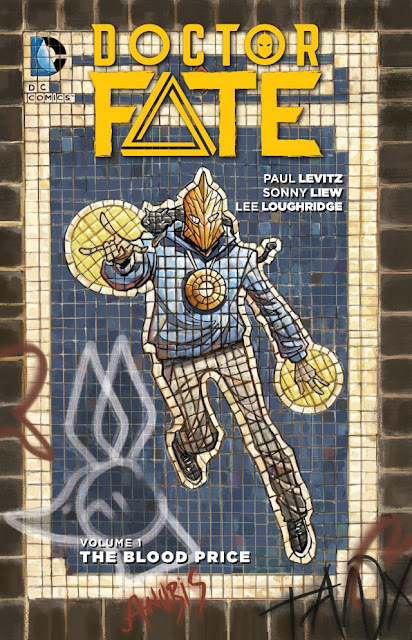 Written by Paul Levitz, illustrated by Sonny Liew, colored by Lee Loughridge and Sonny Liew, and lettered by Nick J. Napolitano and Steve Wands, Doctor Fate: The Blood Price has a list price of $14.99.